Like J.M. Synge almost a century before him, Tim Robinson portrays the inner and outer life of a landscape and its inhabitants. 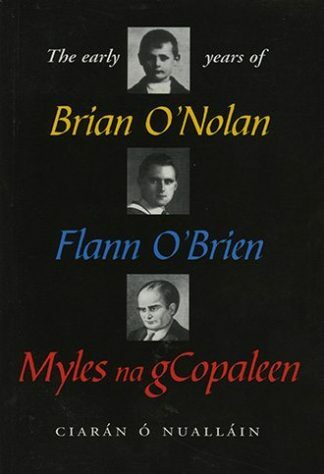 Encyclopedia of myth and reality, herbal, love-letter, missal, jest-book, anthology of cultural responses – Stones of Aran juggles modes from page to page. Its apparent inexhaustibility is borrowed from just one scrap of the Earth’s surface: Arainn, the largest of the three Aran islands, off Ireland’s west coast. The first volume, Pilgrimage, led the reader around the coastline, dazzled and enchanted by the complex interplay of rock and ocean. Labyrinth concludes this microscopic mission, opening up the interior and merging cosmic themes with the utterly personal. By the end, the island is mysteriously returned to itself, untrodden and unread. Stones of Aran: Labyrinth is a companion volume to Stones of Aran:Pilgrimage (1986), the acclaimed first step of a magisterial survey. Nine years on Robinson completes his quest. “Tim Robinson first moved to Aran, an island 8 miles long and 2 miles wide, located just off the west coast of Ireland, near Galway Bay, in 1972. 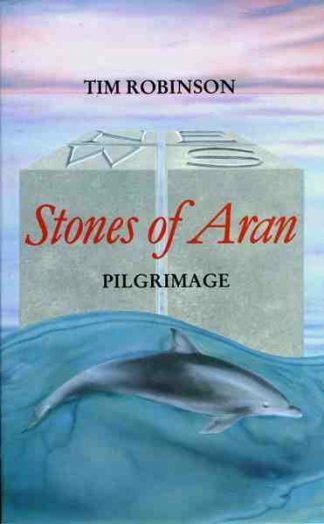 He wrote his first book on the island, Stones of Aran: Pilgrimage which recounts his walk around the island’s perimeter, with, for sure, plenty of diversions. 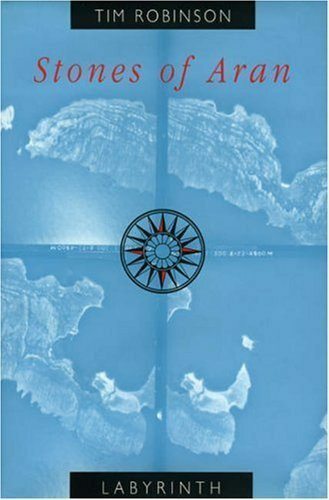 I have previously reviewed “Pilgrimage” at Amazon, and said, in part that: “He ranges over disciplines as varied as cosmology, geology, botany, sociology, history, linguists, economics, anthropology and literature.” At first glance, one would believe that one book on such a small island would be sufficient. But no, Robinson has so much more to say in “Labyrinth,” as he examines the island’s interior. 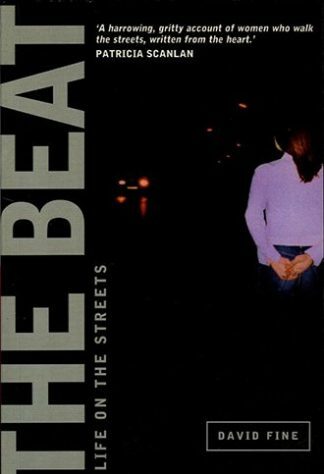 One aspect is the subject sentence, for he is documenting a vanishing way of life. Elegies unawares relates to his description of Evelyn’s shop, the last one on the island, and he notes that he no sooner described it than she retired, and the last shop closed. “Bad reviews” can often provide the motivation for reading a book, even more than good ones. Robinson includes a bad review of “Pilgrimage” in “Labyrinth,” which is written from the point of view of some impossible academic twit, who objects to Robinson’s “polymath” generalist approach to knowledge, as opposed to the “rigors” of narrow specialization. The review reeks of condescension: “Such failings are only to be expected; a multidisciplinary study demands the modesty of teamwork, and the best that can be said of Robinson’s attempts is that he manages to fall between more professorial chairs than most amateurs.” Or, “Striding roughshod over the bounds of specialisms and genres, it seems to imply that some overarching meaning of it all is going to be revealed… Robinson ends up being nothing in particular.” Of course, one assumes that the review is not apocryphal, but even if it is, Robinson captures the essence of the academic specialists proudly defensive of their turf against the generalist. humble and profound view of the insight of a popular island.